Home / Blog / SUP HIRE IS NOW OPEN !! SUP HIRE IS NOW OPEN !! SUP Hire is now open!! 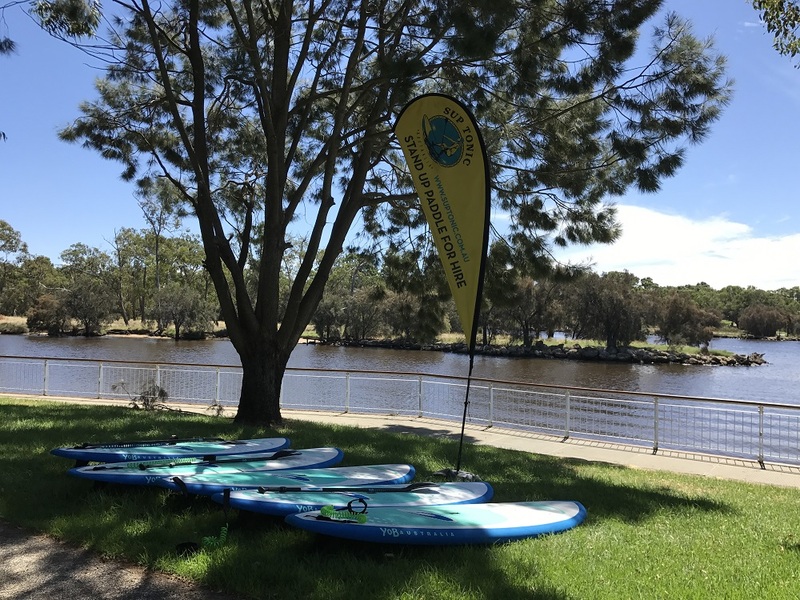 We have some of the most tranquil, picturesque and protected sections of the River in Perth and we can now provide a SUP hire service that has been embraced by our local community and councils as a much needed recreational activity in our neck of the woods! If you don’t have a board due to expense, roof racks or no room to store a SUP board you can now hire a SUP and paddle at your leisure or get a group of friends together for some extra fun on the water. If you’re a first timer don’t worry – you can book a lesson or two and we’ll get you up on your feet in a safe, fun environment to learn how to SUP! Hire includes safety tuition. You must be able to swim, have some previous paddling experience and you will be required to sign a disclaimer. Children under 15 years of age must be accompanied by an adult. Note: Don’t wear your expensive sunnies in the water unless strapped on. We have basic items for sale on location such as Ocean & Earth waterproof pouches for your keys and phone. We highly recommend purchasing a waterproof pouch so you can carry you phone in the event of an emergency. For other hire options please contact us and we can customise a package that suits you. See you there!